Dr. Scott Miller, M.D. was named to Atlanta magazine’s 2016 list of Top Doctors, published annually in its July issue. This is Dr. Miller’s eighth year in a row on the prestigious list. Dr. Scott Miller was the first urologic laparoscopist in the state of Georgia. Specializing exclusively in laparoscopic and robotic urologic surgery, he performs approximately 300 procedures of this type annually, along with numerous robotic kidney procedures. He actively develops new surgical techniques and shares his methods and results with surgeons around the world. His most recent development is LapaRobotic Surgery™ (LapaRobotics™). The technique involves the melding of two separate but related surgical techniques–laparoscopic surgery and robotic surgery. Dr. Miller has been board-certified by the American Board of Urology since 1997. 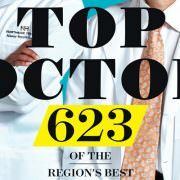 Dr. Miller has previously been selected as one of America’s Top Doctors for Cancer by Castle Connolly and recognized as a Top Doctor by Atlanta magazine since 2009.